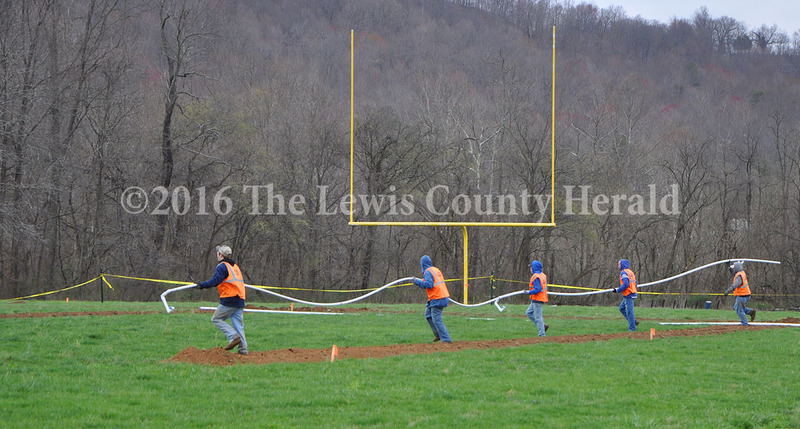 Volunteers help to install a sprinkler system at the LCHS Football Field. The LionBacker Club raised money to purchase the system. Thanks to a group of dedicated LCHS football backers, the LCHS football field has received an upgrade that many public school playing fields don’t have. A watering system to help keep the grass green and the playing surface safe. “This was a great community team effort with fundraising, volunteering and generous donations,” said Bill Tom Stone, an avid supporter, former player and President of the LionBackers. “We have an alumnus that donated his expertise and equipment to help install the system,” Stone said. “All we had to do was raise the money to buy the hardware and round up a few volunteers to help.